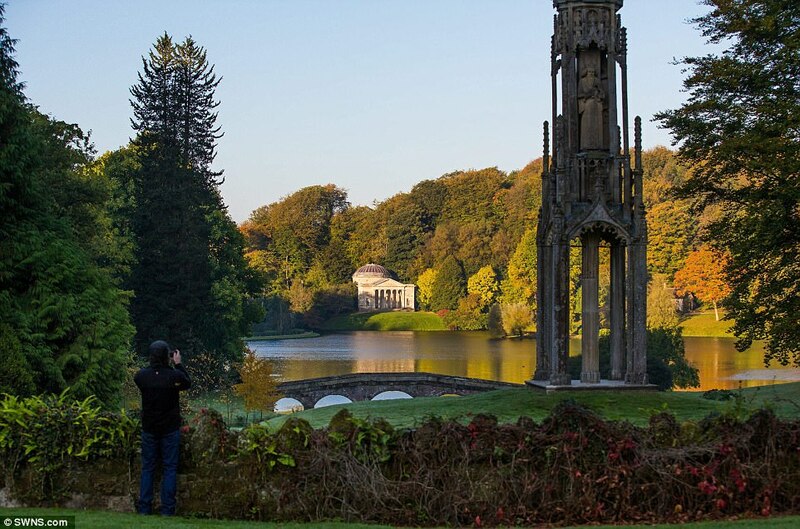 One of the most famous gardens in Britain is built on top of the creator's original design - which he flooded after the death of his son, a new book claims. 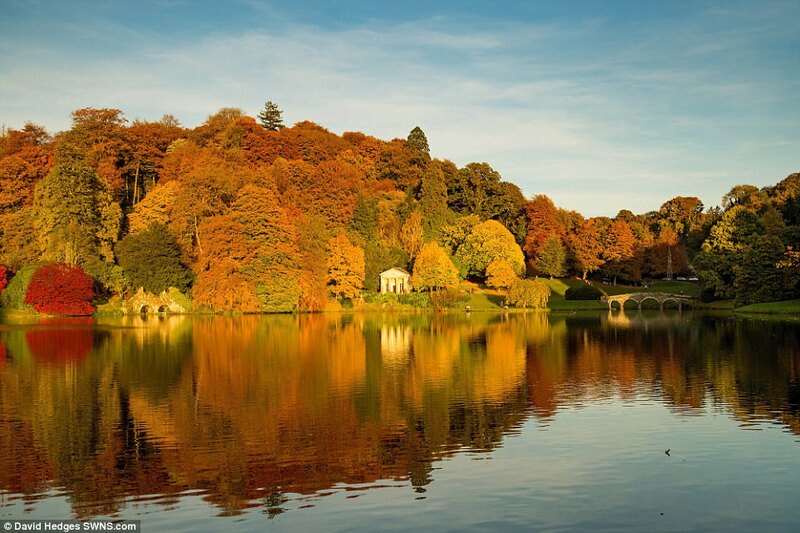 The iconic lake, grounds and buildings at Stourhead in Wiltshire is among the best-loved vistas in the country. 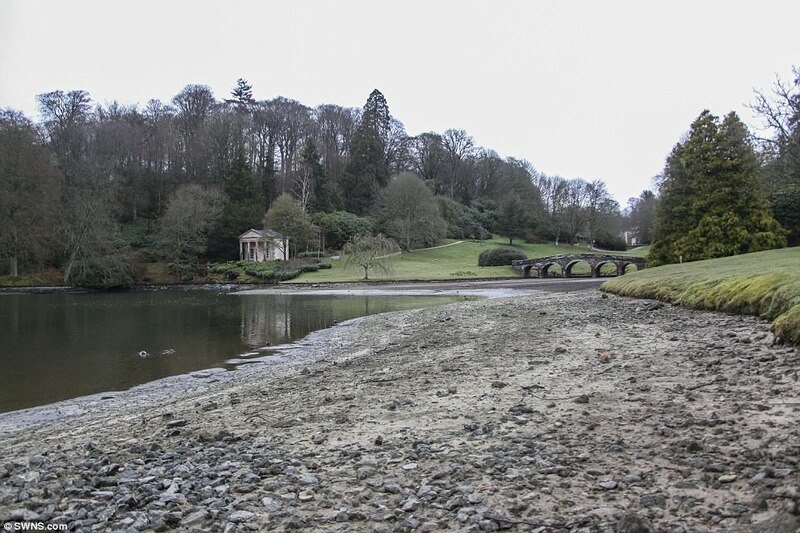 But an author said the view at the National Trust property is in fact a Plan B - with the first gardens still buried underneath. 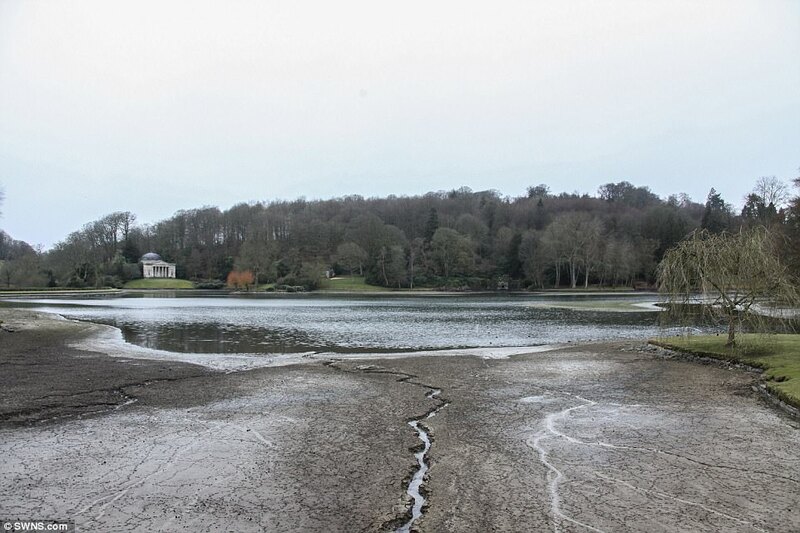 Tim Woodbridge said heartbroken owner Henry Hoare II flooded the original lake 270 years ago after the sudden death of his son and heir Henry III, aged just 21. Mr Woodbridge said he has found evidence that devastated Hoare flooded his first garden because it brought 'more pain than pleasure'. It meant the destruction of five years of work by an estimated fifty labourers. He says he then designed and built the one we know today - but the 'secret garden' is still preserved in silt underground. 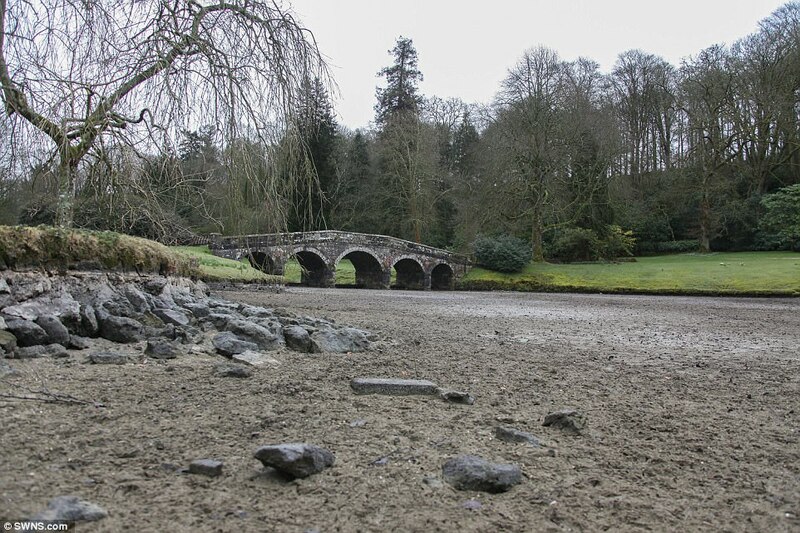 Mr Woodbridge says the old garden would be 200 metres in length and includes an ornamental pool, Chinese bridge and canal - all now preserved in silt. 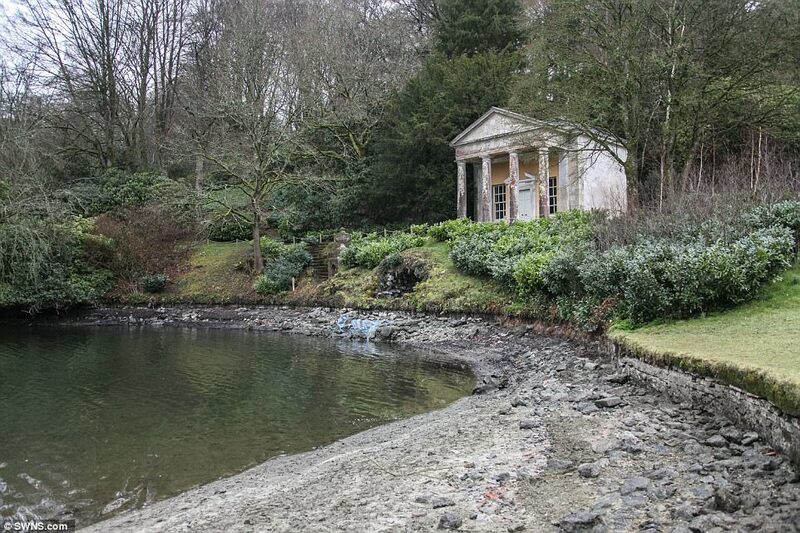 He says it lies below the site's Great Lake, a main part of the tourist attraction in Stourhead. His book says the garden is now entombed under approximately 30ft of mud, silt and fresh water. 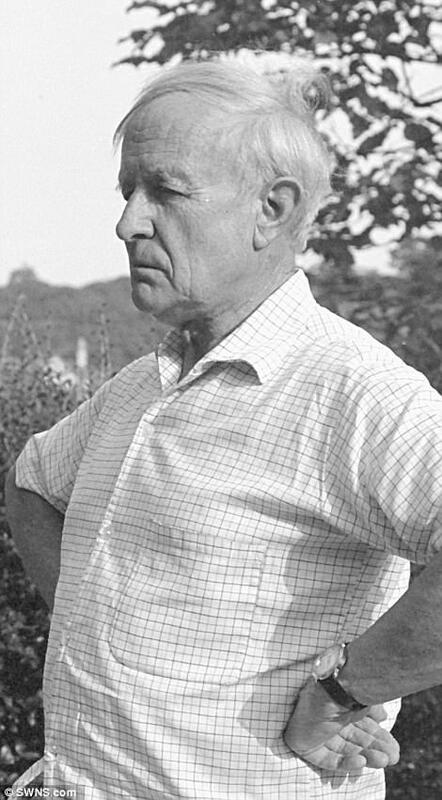 The garden's existence was revealed for the first time in The Choice, a new book out this week by Woodbridge, son of Stourhead's historian and former WWII intelligence codebreaker Kenneth Woodbridge. His conclusions follow research of his late father who spent ten years trawling through Hoare's personal letters, bank ledger entries and documents. The author spent three years piecing together the evidence for the lost garden from documents in his archive. Woodbridge concluded that the Great Lake is hiding a 'magnificent, dark secret' in its depths - and would have cost a fortune for the era at £5,000. 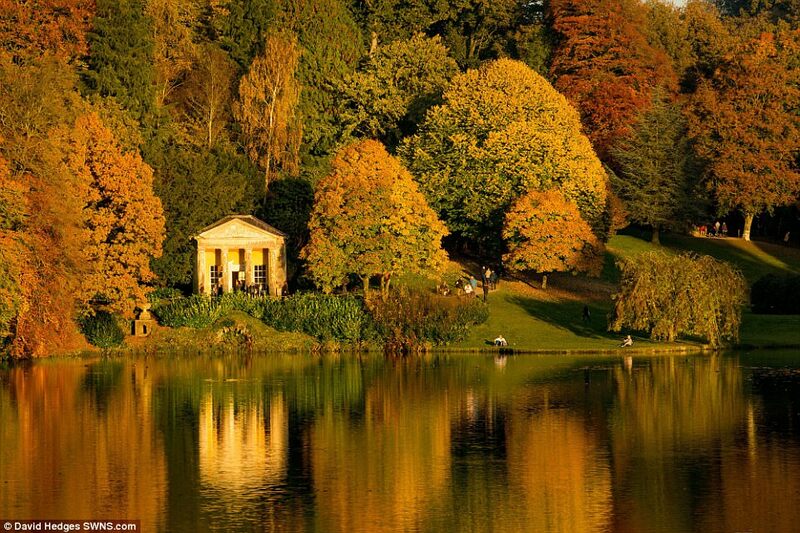 Stourhead Manor was bought in 1717 by Henry Hoare I who replaced it with the Palladian mansion still admired today. 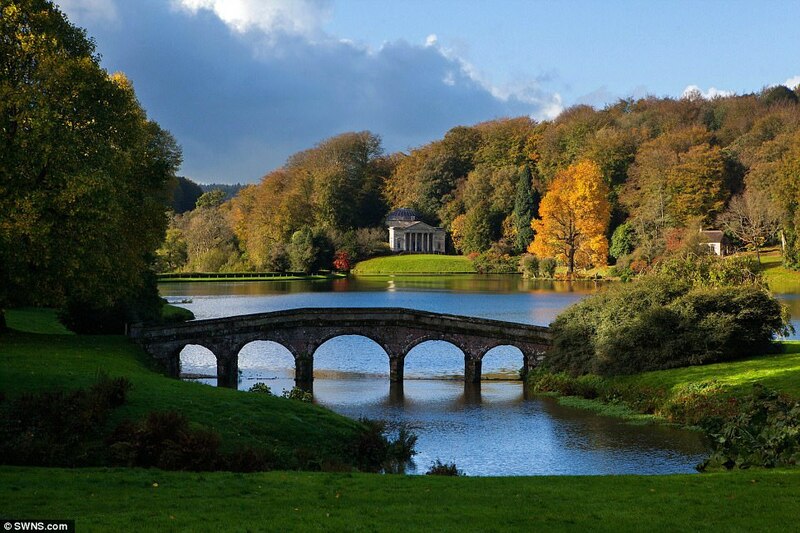 But it was his son, Henry Hoare II, who transformed Stourhead into an Arcadian paradise at the height of neoclassicism in the middle of the 18th Century. 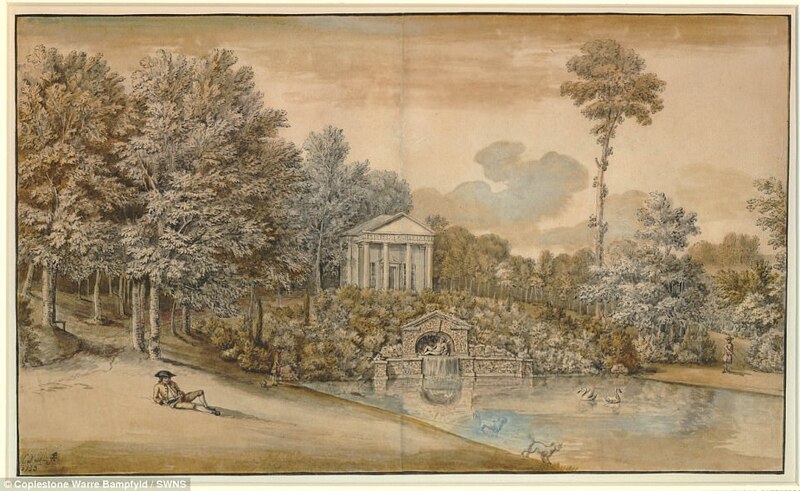 Hoare's secret garden was part of a dynasty and memorial for his late wife, Susan, who died in 1743, and a legacy for his son and only surviving heir, Henry Hoare III. A team of around 50 labourers are believed to have spent five years, from 1744 to 1749, building Hoare's dream. 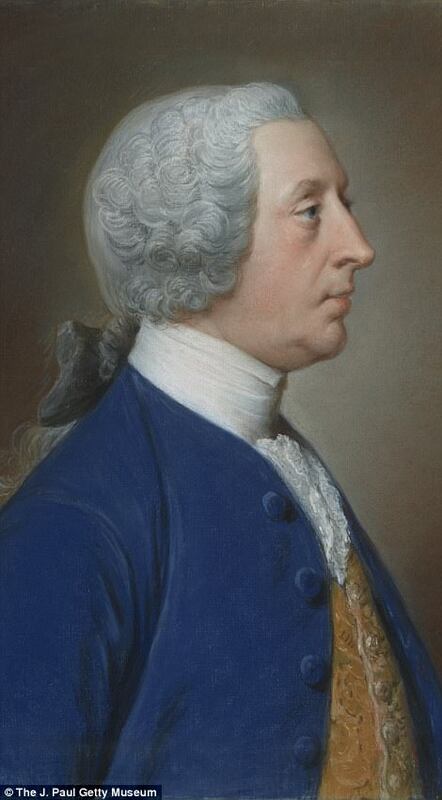 Hoare, a banker and the heir to his family's fortune, later described the result as 'the fruits of industry and application to business that shows what great things may be done by it'. 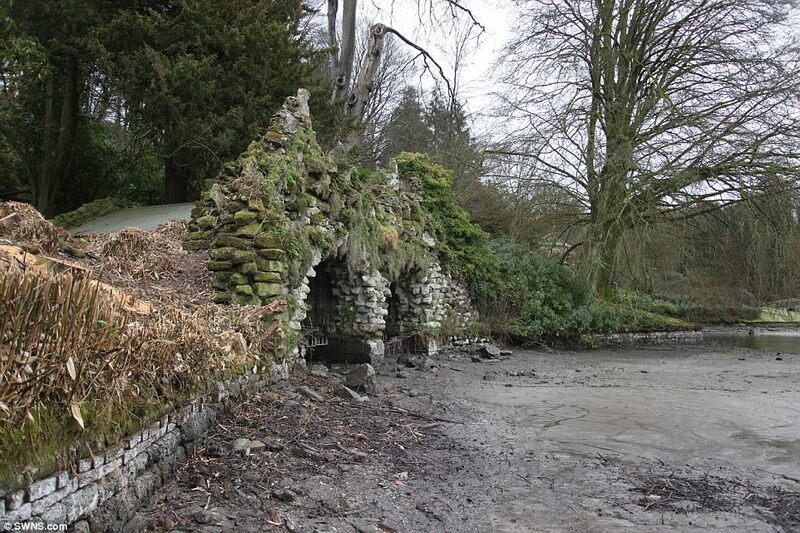 But evidence suggests the Great Lake was made to 'obliterate' Hoare's garden following his son Henry's premature death in 1752, aged just 22. Hoare found the garden a painful reminder of his son and flooded it. Almost all the monuments and temples remain. 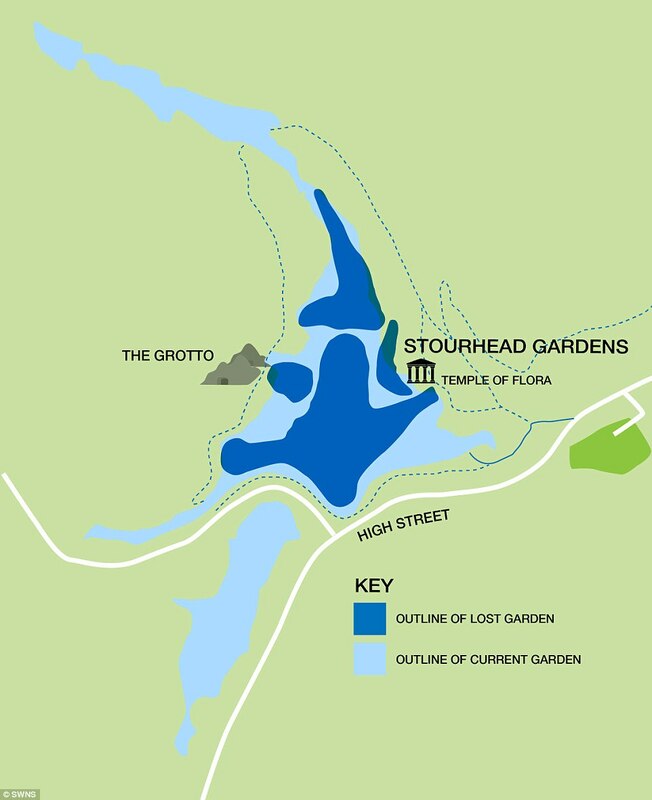 The original garden would have featured two smaller lakes to the north and south, with a Chinese bridge crossing the former, a Grand Canal leading to the Temple of Flora to the east, and an ornamental pool on the west side in front of a grotto that still stands today. 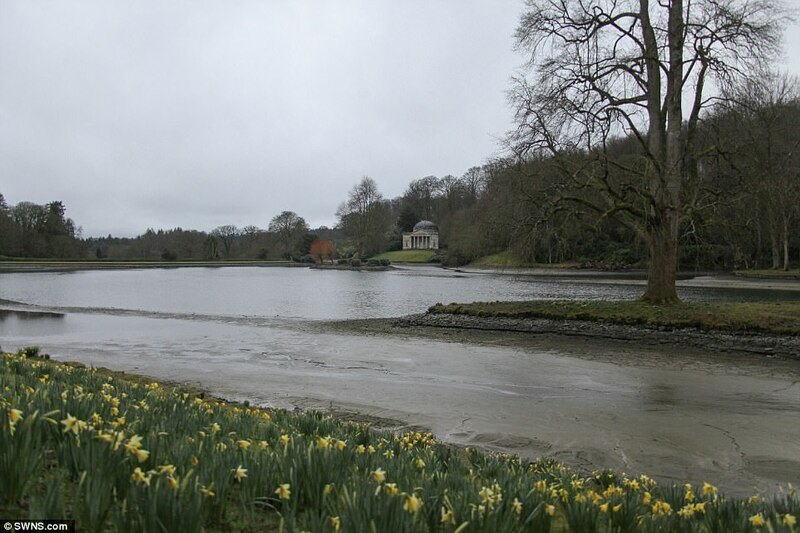 The remains of the sentinel oak, plus the foundations for the original lakes, ornamental pool and Chinese bridge, were detected during an underwater survey in 2005. 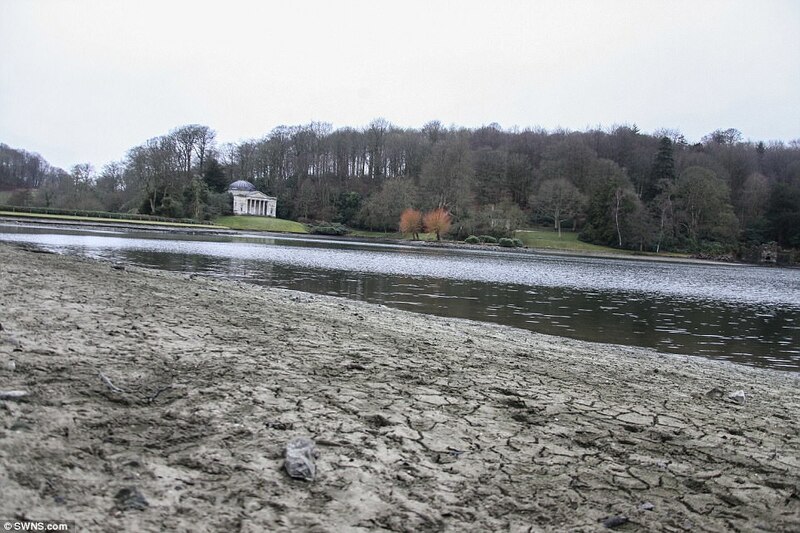 Ironically, the flooding of the lake has preserved the remains, which lie under many feet of a very fine silt. Woodbridge, 71, said the cost of digging up the Great Lake makes it unlikely that the original garden would ever be uncovered. He added: 'Hoare set out to create a lasting legacy for Susan and then for Henry. 'His lost garden represented the first steps of an artist trying to find himself.